How do wicked problems and collective thinking overlap? How can collective thinking be applied to wicked problems? What is the collective mind? What does collective thinking involve? 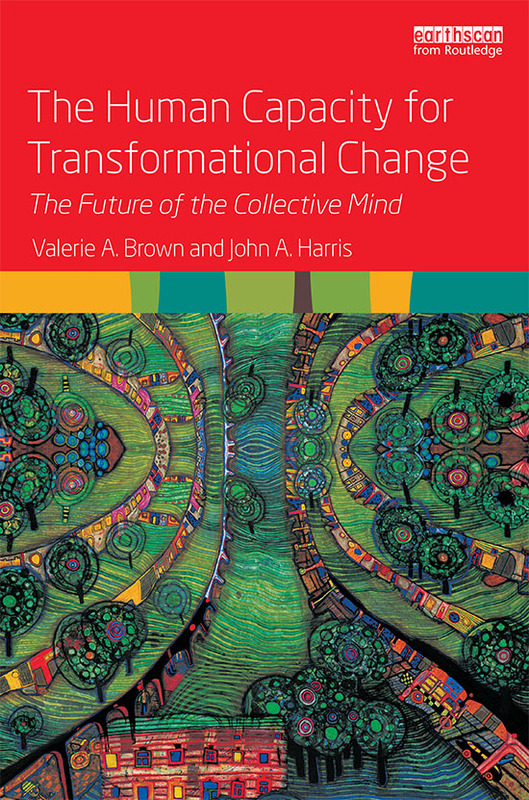 What questions does collective thinking ask in order to achieve transformational change? How does the collective mind work in practice? What is collective thinking for transformational change? What is collective social learning for transformational change? 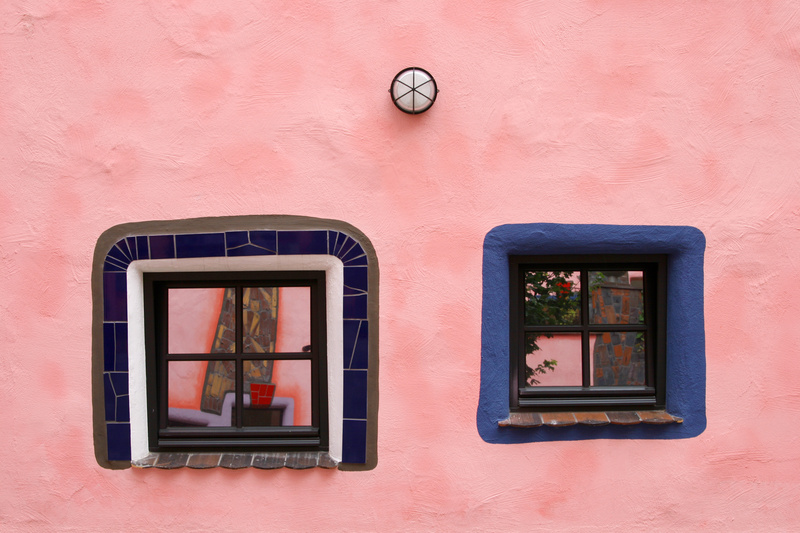 Home | Is collective thinking new? Collective thinking is not a new way of thinking. Rather, it has resulted from us forgetting how to use our collective mind. The early Greek philosophers, from Socrates to Plato to Aristotle, debated the connections between the one and the many, the parts and the whole. Socrates sought the whole; Aristotle classified the parts. The anthropologist/biologist/psychologist Gregory Bateson described the world as formed by the patterns that connect, not by the walls that divide. Halfway between Socrates and Bateson came the 15th century Renaissance, where there was a simultaneous openness to synergies among different ways of thinking. The result was a surge in the knowledge generated in science, finance, management, and literature. Four hundred years later, the current interest in Leonardo da Vinci reflects the strength of the desire to reform a compartmentalised world. After all, Leonardo da Vinci’s world was not divided. His paintings carry strong political messages as well as being superbly beautiful (think of The Last Supper). His inventions helped open up new worlds of human experience (the aeroplane, the diving suit, irrigation canals and the bicycle). Da Vinci’s journals foretold the discovery of unifying threads of thought, such as chaos theory and the double helix of DNA. Even in his scribbling, he bridged the boundaries we have erected between interpretations of the physical and social worlds, between accuracy and imagination. To 21st century minds trained to keep their thinking in different compartments, Leonardo’s ability to combine diverse capacities in understanding can seem beyond their grasp. Yet each human being is born with the same potential for integrative thinking as Leonardo and his contemporaries. In the same way, each community has the same inherent capacity to bring all its capacities to bear on moving towards a better future. Norbert Wiener (who used advanced mathematics to identify patterns that connect, to predict the World Wide Web as early as 1940, and was the first to forsee the immense evolutionary potential of electronic signals of the human mind). Are you interested in the origins of collective thinking? 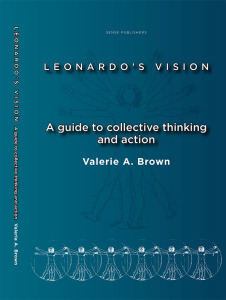 In Leonardo’s Vision, Valerie A. 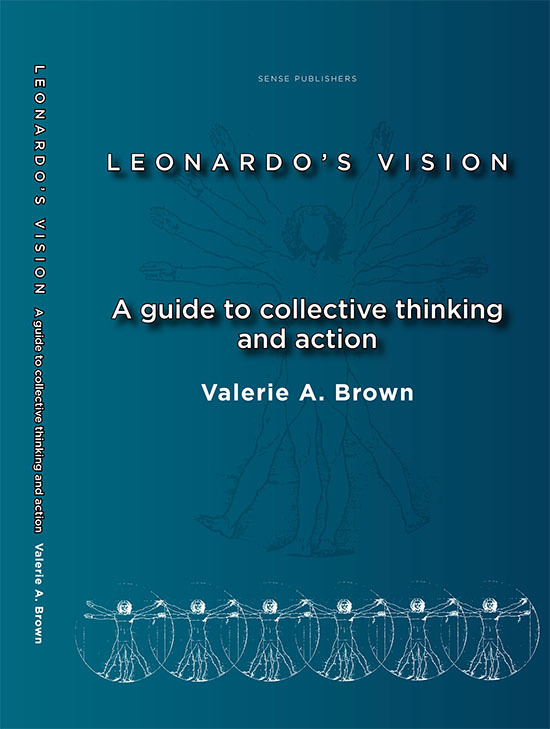 Brown explores the origins of collective thinking and its roots in both classical and Renaissance thinking. In The Human Capacity for Transformational Change, Valerie A. Brown and John A. Harris discuss the intellectual origins of collective thinking, and explore the ideas of Charles Darwin, Pierre Teillhard de Chardin, Gregory Bateson, James Lovelock and Norbert Wiener.